The construction of the I.G. 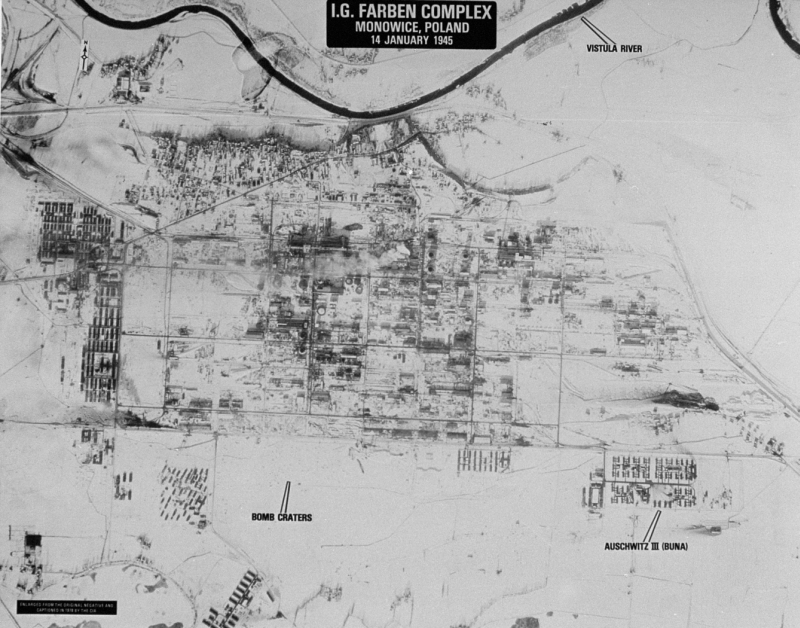 Farben chemical plants at Auschwitz was carried out by a labour force made up of more than a thousand British prisoners of war, for whom work detachment E 715, a satellite camp of Stalag VIII B at Lamsdorf, was set up. Work detachment E 715 was situated in the immediate vicinity of Monowitz Concentration Camp, also known by the name of Auschwitz 3. According to the plans of the I.G. Farben company, which was tried at Nuremberg for having used internees as forced labour, the large chemical complex at Auschwitz was supposed to have as its principal output a type of synthetic rubber called Buna. For this reason the complex is also known by the name of Buna. 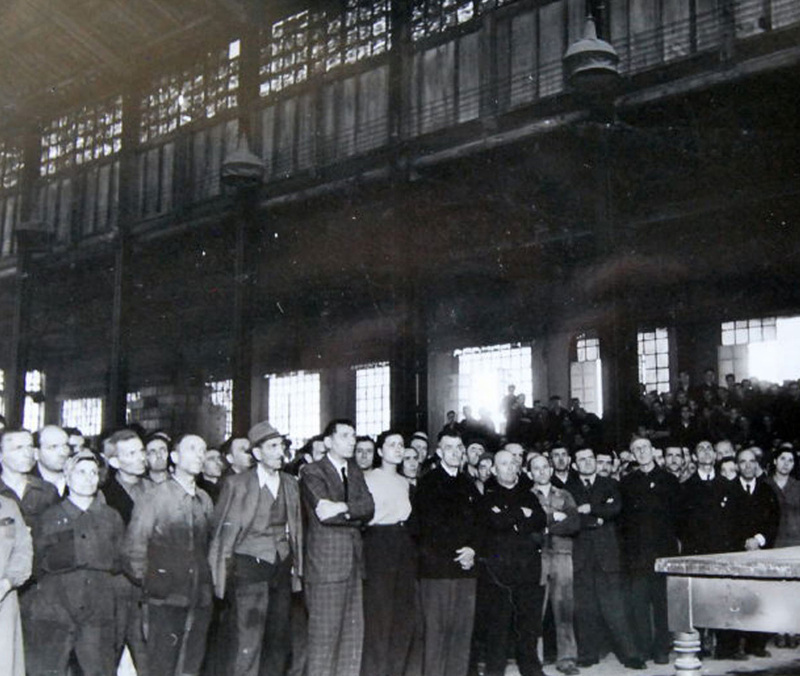 According to some sources,1 the first 200 prisoners arrived in the camp in September 1943. During the winter this number is said to have risen to 1,400. In the period between February and March 1944, around 800 prisoners were transferred to the camps at Blechhammer and Heydebreck. From that time up to the evacuation of the camp in January 1945, the number of British P.O.W.s in the work detachment of Auschwitz appear to have remained steady at 600. Quite a few of the British prisoners of war ceded to Germany by the Italians in July 1943 before the Armistice of 8 September were sent to E 715 at Auschwitz. Due to the proximity of the concentration camp at Monowitz with work detachment E 715, contact between the British prisoners of war and the detainees – mostly Jewish – was not infrequent. In his Liberation Report, compiled in 1945 straight after the liberation, P.O.W. 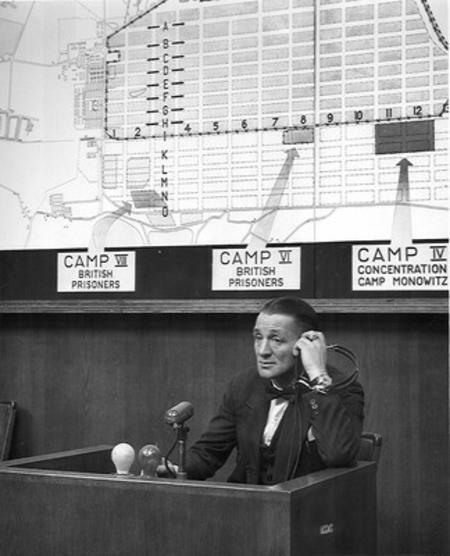 Robert Cossar reported the treatment to which the political prisoners and Jews had been subjected in the camp at Monowitz. Several former British prisoners of war from work detachment E 715 were called as witnesses in the I.G. 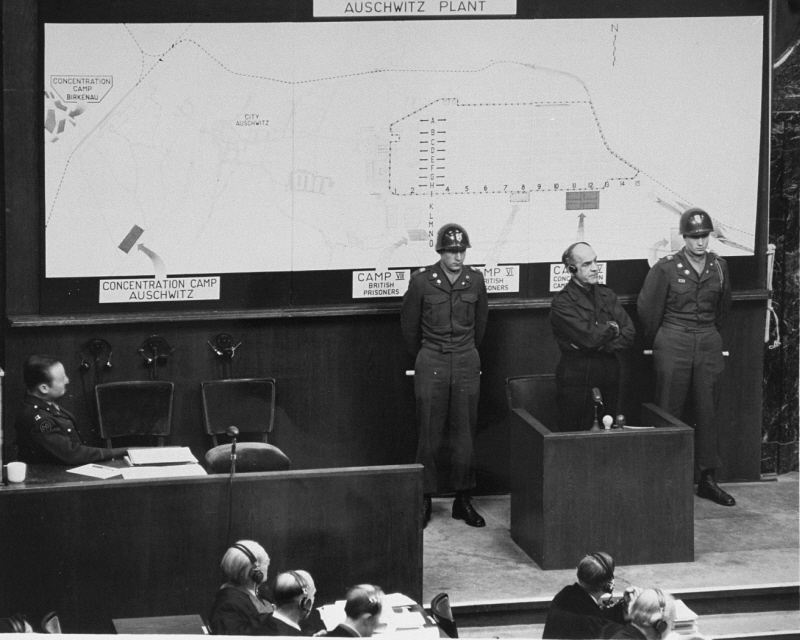 Farben trials, both the one held in Nuremberg in 1947 and the other held in Frankfurt-am-Main in the early Fifties and which, for the first time, resulted in a German company having to pay damages to men who had been used as forced labour within its establishments.